Happy birthday to me! And I should add to my boyfriend Ben, well actually his was yesterday, but I reluctantly shared this birthday tart with him anyway. 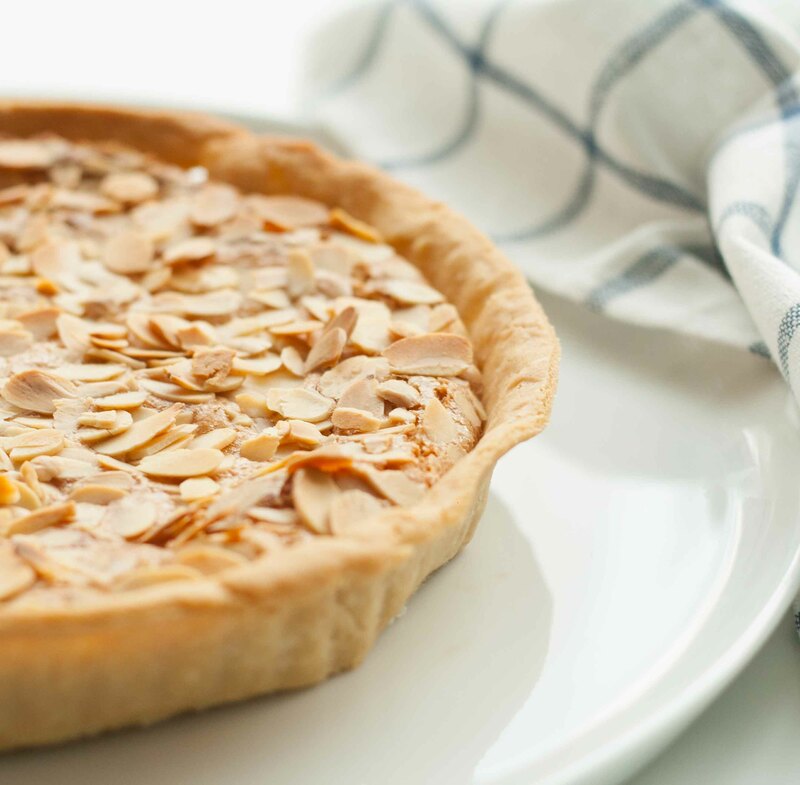 Bakewell tart, for the uninitiated, is a British classic. 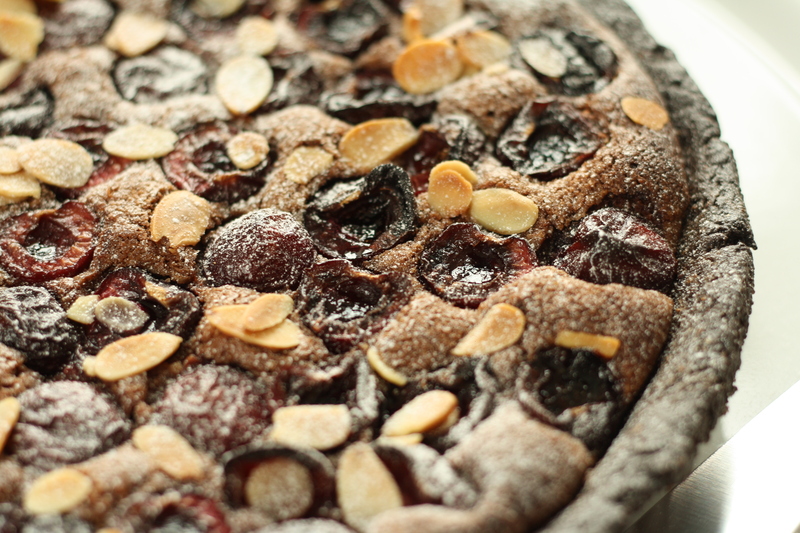 Flakey pastry, a thin layer of raspberry jam (always, always raspberry) and almond sponge, topped with toasty, flaked almonds (or sometimes icing, but for me its all about the almonds.) It has to be one of my all time favourites, hence its selection as this year’s birthday dessert. Today is another day of combining things that I love. 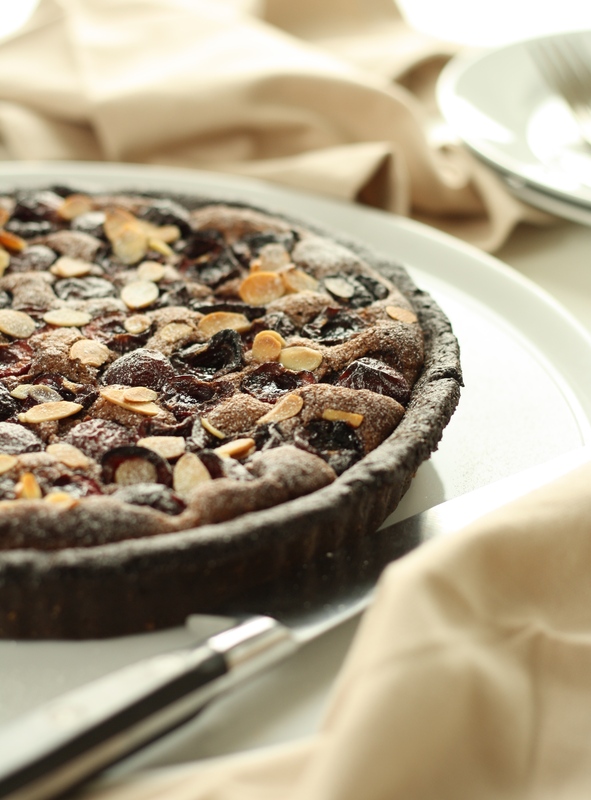 Namely nectarines, almonds and pastry. 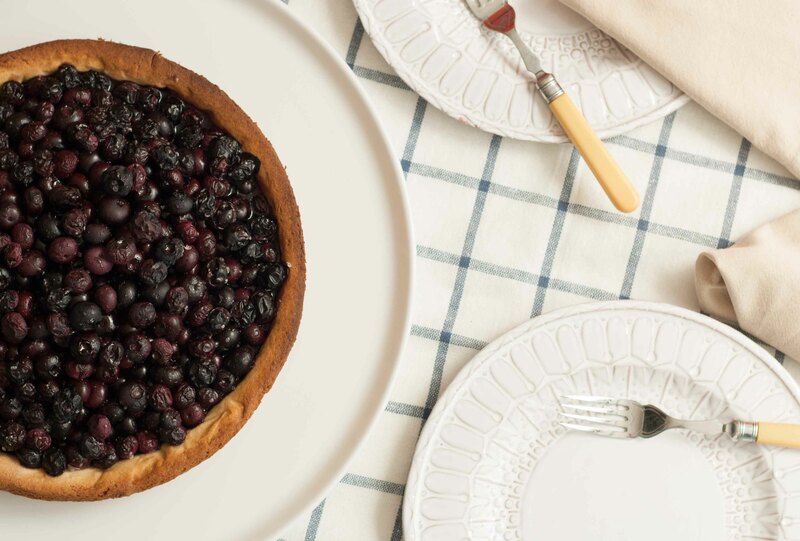 If you could show me a better way to bring them together than a frangipane tart, I’d be extremely surprised, and I’m sure it wouldn’t make my kitchen smell quite so amazing. 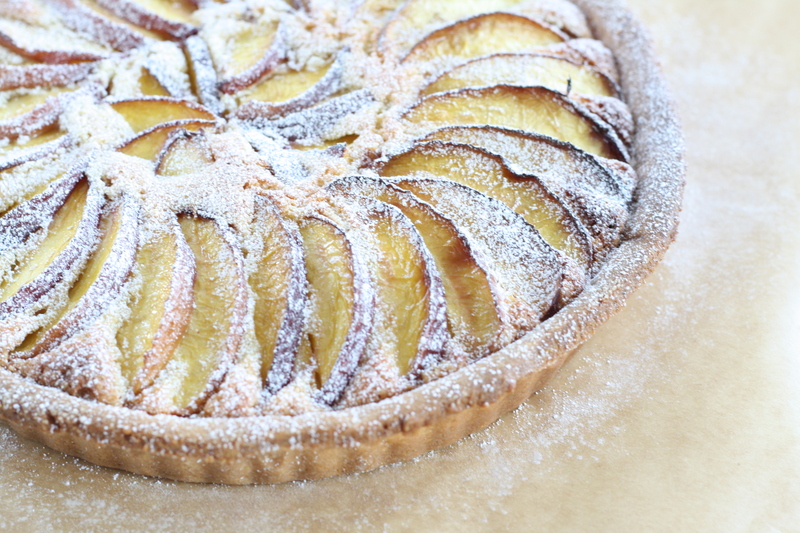 Frangipane, that beautiful almondy, spongey stuff, reminds me of home. 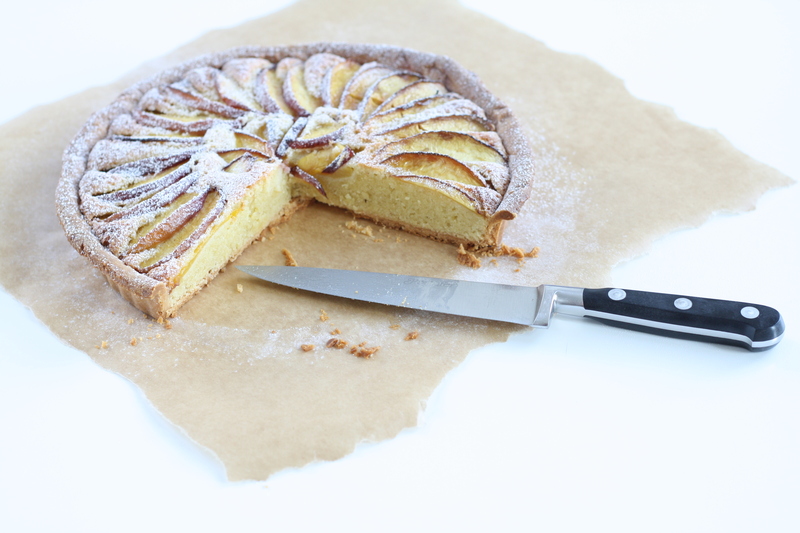 Back in my family home the frangipane tart is the ultimate treat. 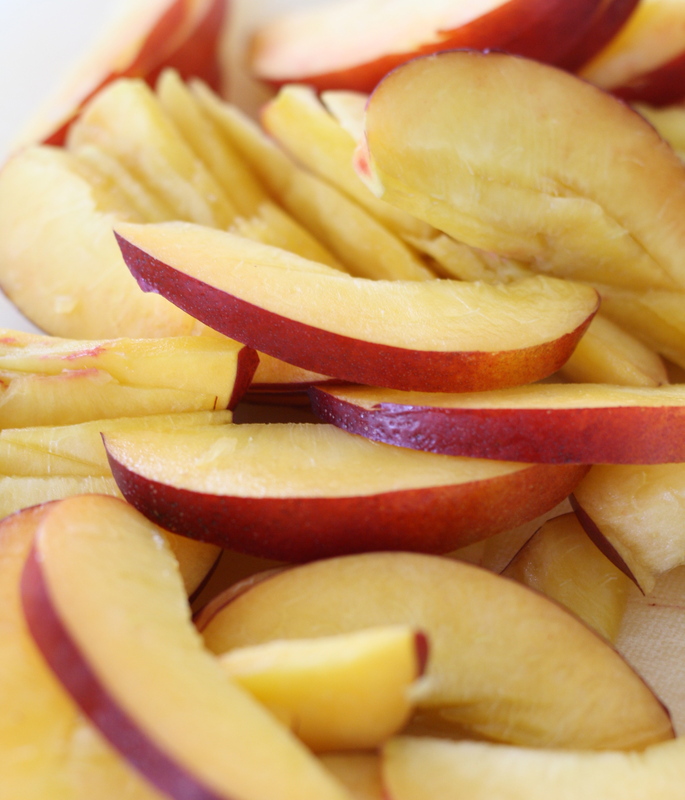 Concealing apricots, plums, raspberries or gooseberries, the whole lot of us would be overjoyed with any combination. I think my own personal obsession comes from an over consumption of marzipan in my younger years. My mum always made fabulous fruit cakes for Christmas and Easter, meaning that there was always a block of marzipan in the ingredients cupboard. I loved nothing better than sitting on the kitchen floor, fashioning the marzipan into little egg shapes for the tiny, chicken cake decorations to sit on and then scoffing the lot. 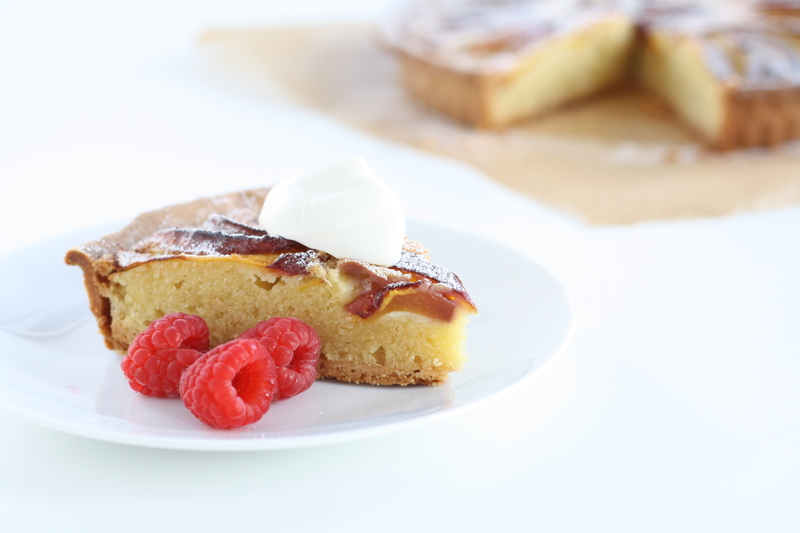 Frangipane feels (and tastes) like a grown up version of those stolen marzipan moments. Here I’ve added nectarines, in an attempt to make the most of the glorious summer fruits that are everywhere at the moment. I eat nectarines almost every day anyway, with yoghurt and oats for breakfast, but sometimes it’s nice to make them feel a little more special. 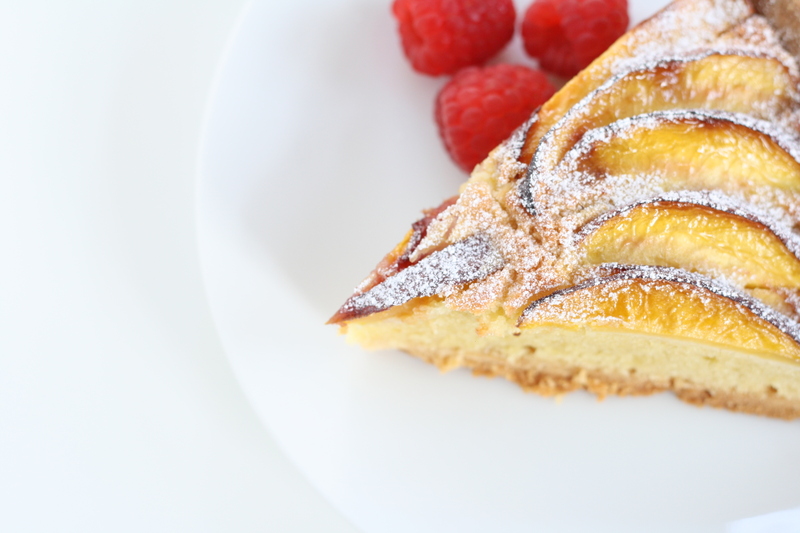 This tart definitely feels like a special treat. In searching for recipes I found that not everyone feels the need to blind bake their pastry. For the uninitiated, blind baking means partially cooking your pastry before adding the tart filling. I decided to blind bake my pastry as I have a major fear of the dreaded soggy-bottom. (Mary Berry and Paul Hollywood would never stand for that sort of thing.) 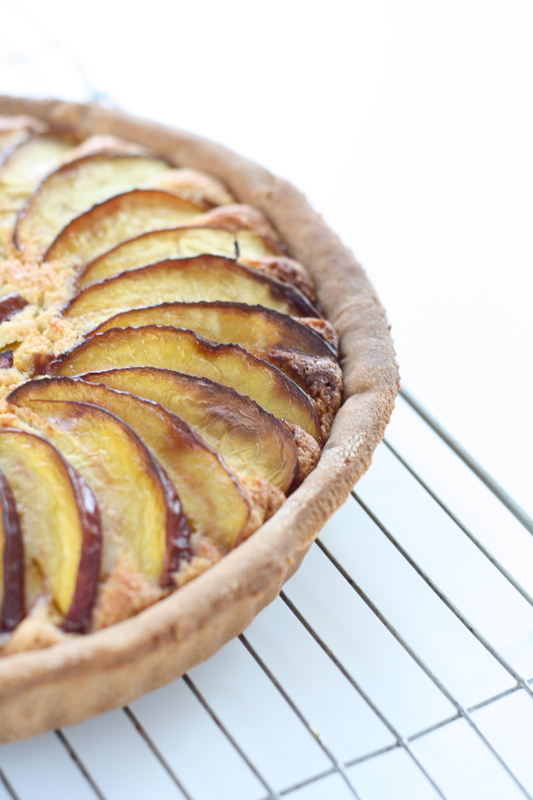 It did result in quite a crispy pastry case but I’m all for that. 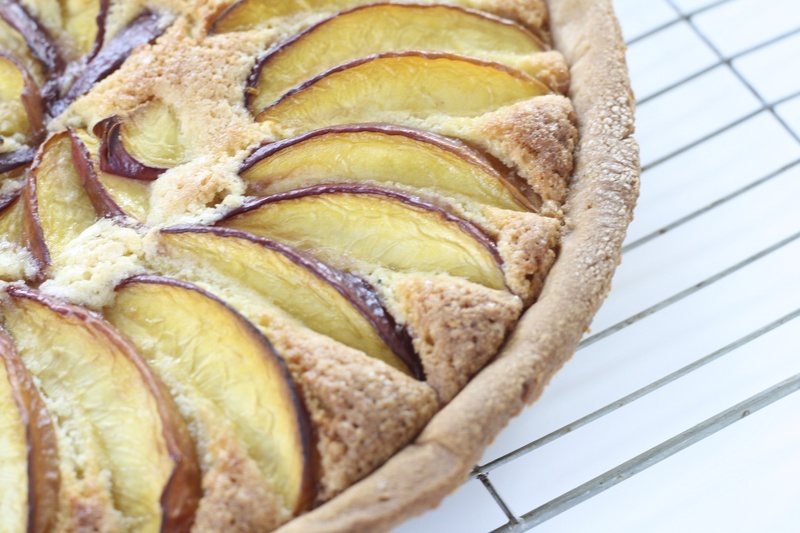 One thing I would say about this recipe is that the cooking time for the frangipane will vary greatly according to your oven. Whilst the recipe I used for the filling suggested 30 minutes in the oven, I found that even after 45 minutes it wasn’t quite set. In the end it took a little over an hour, but it was definitely worth the wait. I would say, just pop a timer on for half an hour, then check it regularly after that, until the centre looks and feels set. Start by making your pastry, for this I used a food processor but I’ll give you the instructions for making it by hand just in case you don’t have one. Sieve the flour and icing sugar into a large bowl and rub in the butter with your fingertips, until the mixture resembles breadcrumbs. Add the egg and milk and work the dough together with your hands until it forms a ball. Flatten the ball slightly, cover it in floured cling film and pop it in the fridge for 30 minutes. 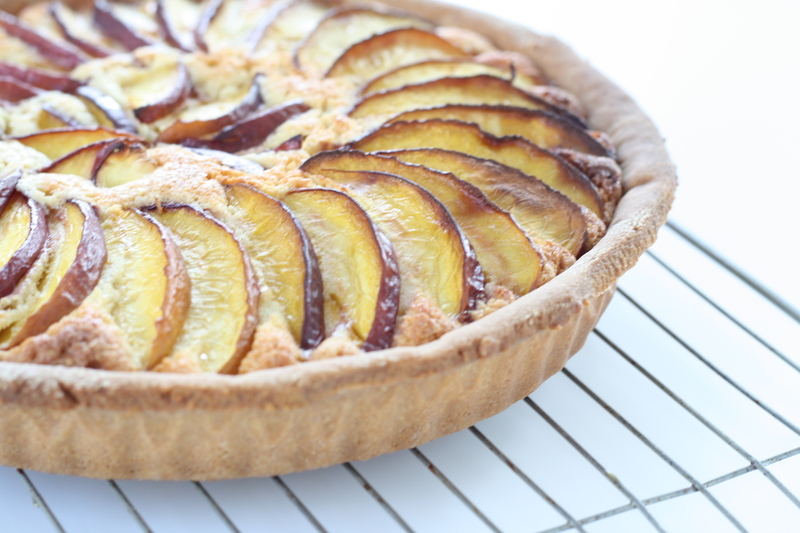 In the meantime, grease a 25cm loose bottomed tart tin. On a floured surface, roll out the pastry to about half a cm thick. Roll the pastry onto your rolling pin and carefully unroll it over your tin. Ease the pastry into the tin and push it gently into the corners. Cut off the excess and prick the base all over with a fork. Now pop the tin into the freezer for 30 minutes. 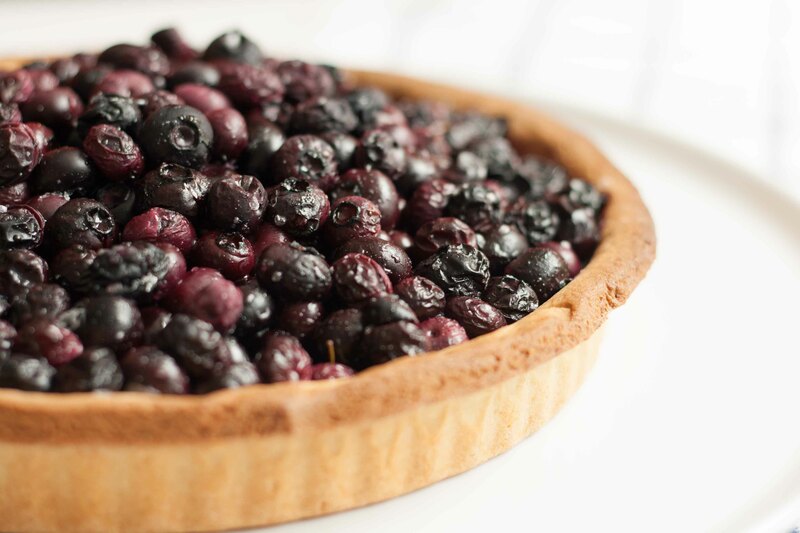 Preheat your oven to 180 C / 160 C fan oven / 350 F.
Scrunch up a large piece of baking or greaseproof paper, unwrap it and use it to line your frozen pastry case. Fill it with rice or baking beans and put it in the oven for 10 minutes. 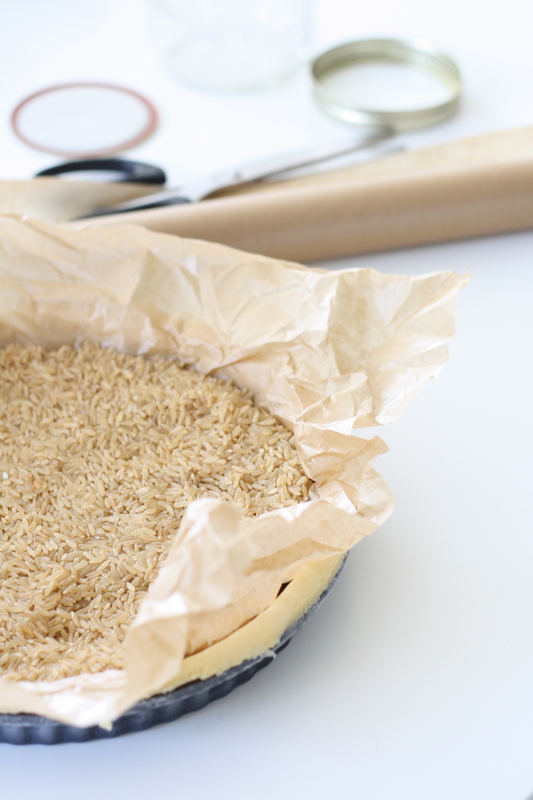 Take the case out, remove the rice and the paper and pop it back in for a further 10 minutes. Leave the case to cool slightly whilst you make the filling. Cream together the butter and sugar until they’re fluffy and light coloured. Add the almond essence, eggs and egg yolk and stir thoroughly until combined. The mixture may appear lumpy and split to start with, but keep going and it will eventually become nice and smooth. Finally fold in the flour and almonds. 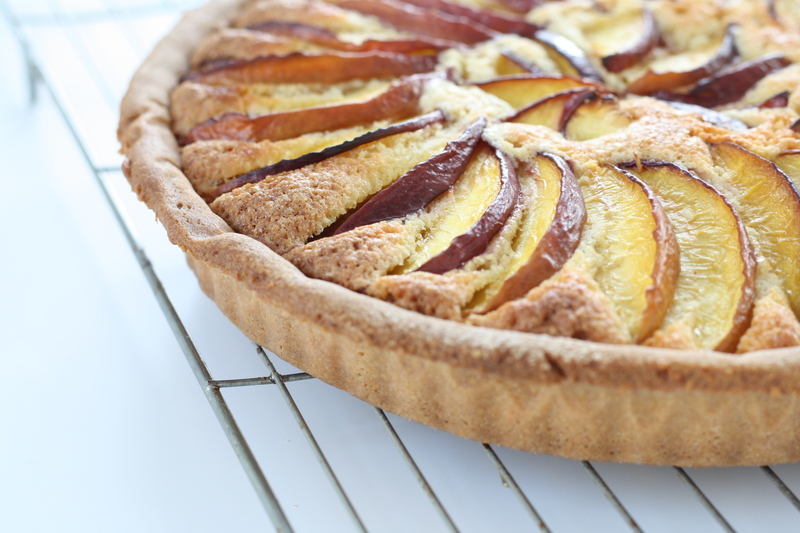 Spread the frangipane over the pre-baked tart case, smooth it over and then arrange the nectarine slices attractively over the top. 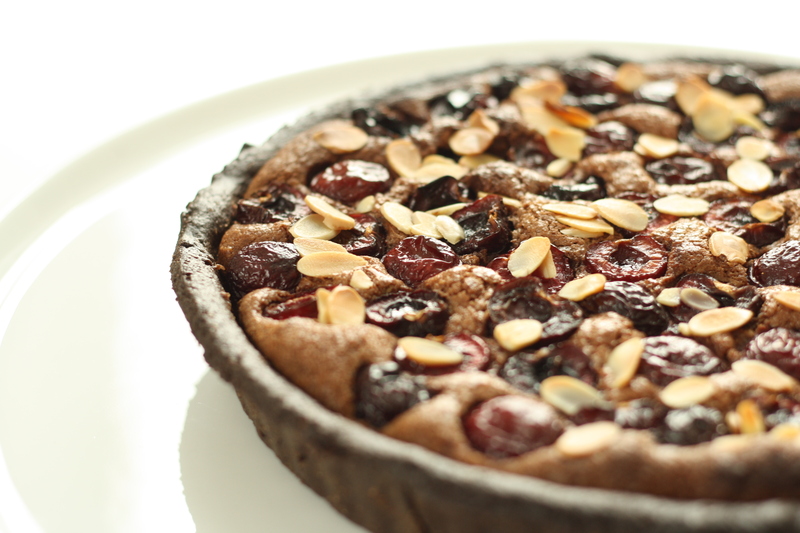 Bake the tart for 30mins to 1hr depending on your oven, as mentioned above check it regularly until the centre is set. 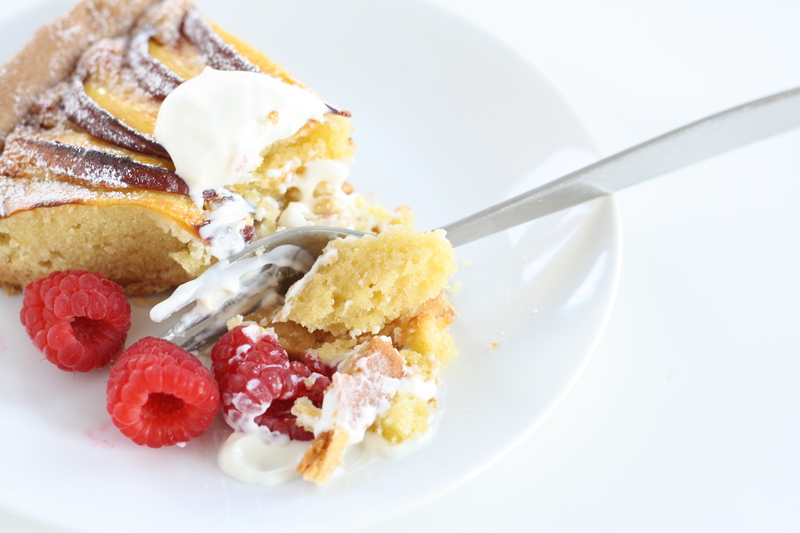 Leave to cool to room temperature and then serve with ice cream or a splodge of creme fraiche, and some raspberries.